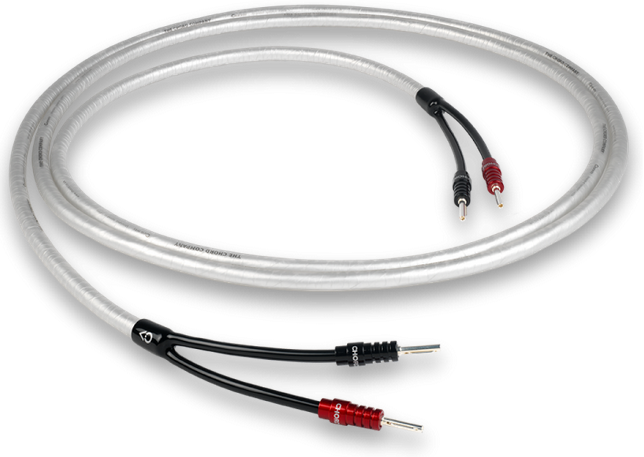 Award winning speaker cable, one of the best we've ever heard at anywhere close to this price. Supplied bare wire per metre and our "go to" choice when recommending speaker cable for many different systems. Chord Clearway cable consolidates 30yrs R&D and cable manufacturing into a new ground-breaking, and very affordable speaker cable. 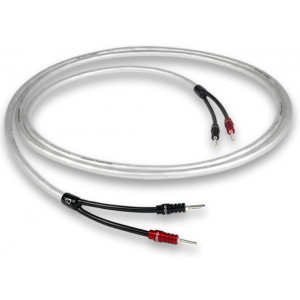 This speaker cable replaces Chord's multi award winning "Silver Screen", a hard act to follow as it was a fantastic speaker cable, but Chord have managed to improve on that cable considerably on what we can now consider their best budget speaker cable yet. Supplied as standard per metre (bare wire, off the reel). We can also offer a termination service to fit this cable with 4mm banana plugs and heatshrinks as pictured. To add this service to your order, please click here. The shielding for the Chord Clearway cable is two contra-wound high-density foil shields. Similar to other Chord speaker cables, the twin foil construction with a twisted-pair configuration, results in a high level of shielding, protecting the high frequency components as they travel its length. To finish the cable it has a clear protective jacket (PVC) placed over it, which gives additional protection from any potential mechanically induced noise. Similar to the award-winning Carnival Silver Screen, the Clearway cable uses high performance shielding, that is crafted from two contra-wound high-density foil shields. Similar to other Chord speaker cables, the twin high density foils, when put together in the twisted-pair configuration, results in a level of shielding that is highly effective to protect high frequency components in a signal. Finally, a clear protective PVC jacket is applied, which again serves to further reduce any mechanically induced noise. To create the new Clearway cable, Chord undertook R&D into the behavioural characteristics of various conductors, and different dielectrics (insulation). 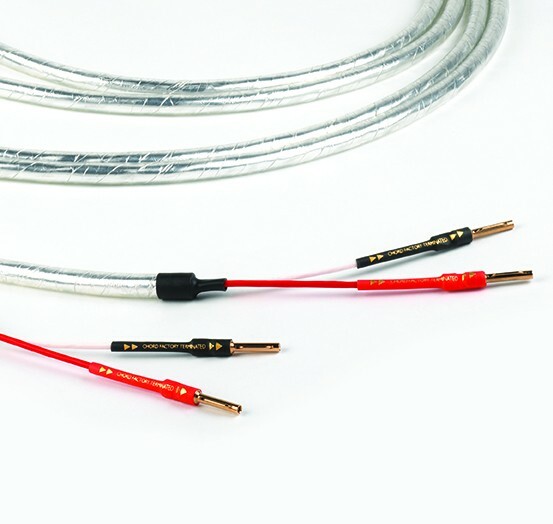 The Chord Company understands the importance of the relation between conductor material and its insulation, here they have employed silver-plated cables with the PTFE material as an insulator. The insulation material is not related to a cables ability to accurately transmit signals, but rather it affects overall timbre that the cable brings to your Hi-Fi. The cables insulation effects, normally takes the form of artificially amplifying bass component frequencies, which will significantly affect a system’s ability to reproduce music with coherence and involvement. In general speaker cables that have oxygen-free copper as the conductive material will have either PVC or polyethylene as the insulating material. 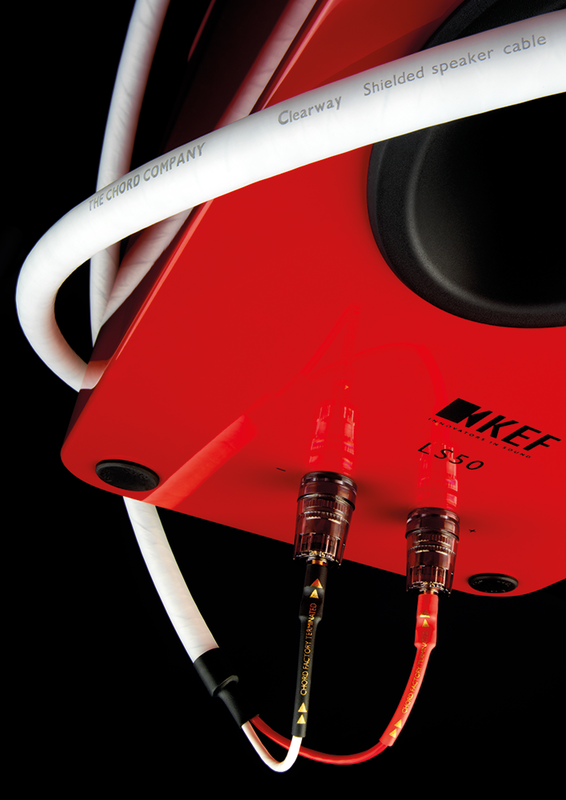 What distinguishes Chord Company’s Clearway cable from other cables is that it has been constructed with FEP: a type of PTFE with very similar acoustic characteristics. Compared to polyethylene, FEP-insulation on the Clearway ensures detail and dynamic information is transmitted more accurately. The spectral effects of the cable are also considerably more neutral than other similar cables. The conductors are FEP-insulated and are constructed from multi-strand oxygen-free copper, which are placed in a twisted-pair configuration that reduces interference. The two conductors are also protected by an extra layer of soft PVC, which is preferred over polyethylene due to its flexibility. Plus Chord have used the layer of PVC to facilitate the correct spacing of the shielding relative to the conductors, to consequently minimise any potential for mechanically induced noise.